"A heavy rain and flood warning has been issued." "A heavy rain and flood warning is out now." "A heavy rainfall warning went out." 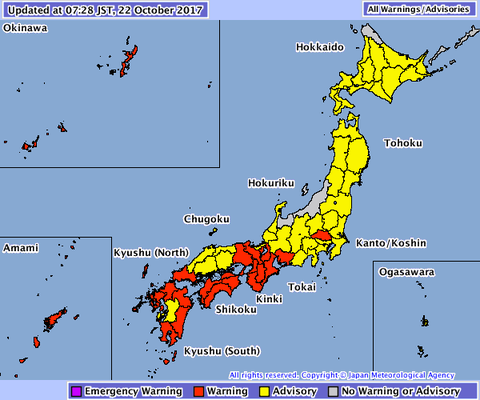 "Wind and heavy rainfall warning issued for Tokyo." "The Storm Warning has been lifted (discontinued) for Tokyo. "